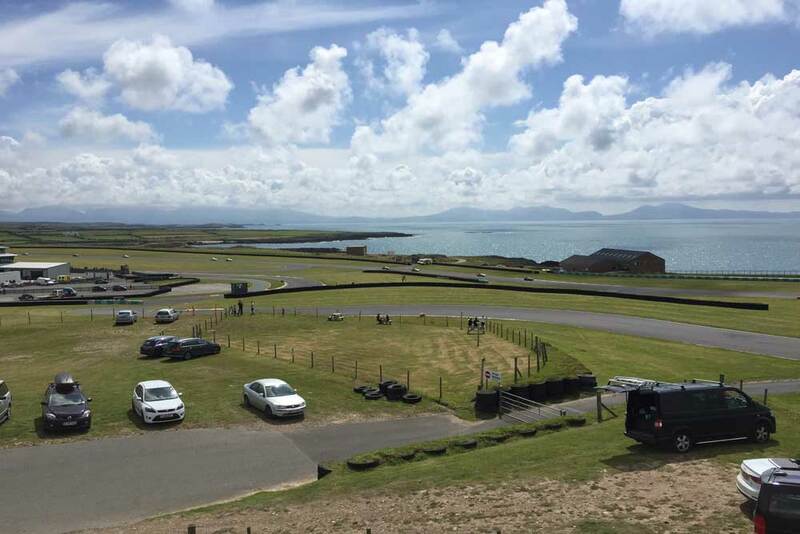 Anglesey Circuit (or, Trac Môn) has to be one of the most picturesque circuits in the country. On a clear day the views of Snowdonia are just amazing. Not that you have long to take them in when you’re on track! This was my first visit to the Welsh circuit and it didn’t disappoint. Slipstream is the name of the game at Anglesey. In qualifying I managed to get a great slipstream and made best use of it to post the fastest lap in session my session, for the first time. The second session managed to go slightly quicker, so I was to start second on the grid for race 1A. My first front row start and a good milestone to check off. I didn’t have a great getaway, and was moved over to the right by pole man. Both cars from the second row subsequently slipped past. I briefly took second place again on the way up to the tight chicane, but they were able to power past me on the run up the hill. I fell to 7th by the flag, which was probably about right, given my pace. However, engine dyno testing was taking place post race and showed up a few things. I was selected and it turns out my engine has room for improvement. Also, some of the others are pushing the limit! In this race the third placed driver was over the 105bhp limit and subsequently disqualified. After my promotion in the results from 1A, I started 2A sixth on the grid. Once the race settled down I was running there comfortably. It was a pretty tight race for the front six cars as we pulled away from the rest and at the flag I had the winner in sight. Turns out the winner was closer than I thought, as more post race checks found the first and second place cars also over the limit, so I inherited fourth. The weather all went a little Welsh for race 3A. Very Welsh, in fact. The rain was blowing in from the sea at probably 30 degrees. Although it rained briefly for my final race at Snetterton, this would be my first proper wet race. From forth on the grid, I had a great race and again was running at the business end throughout. 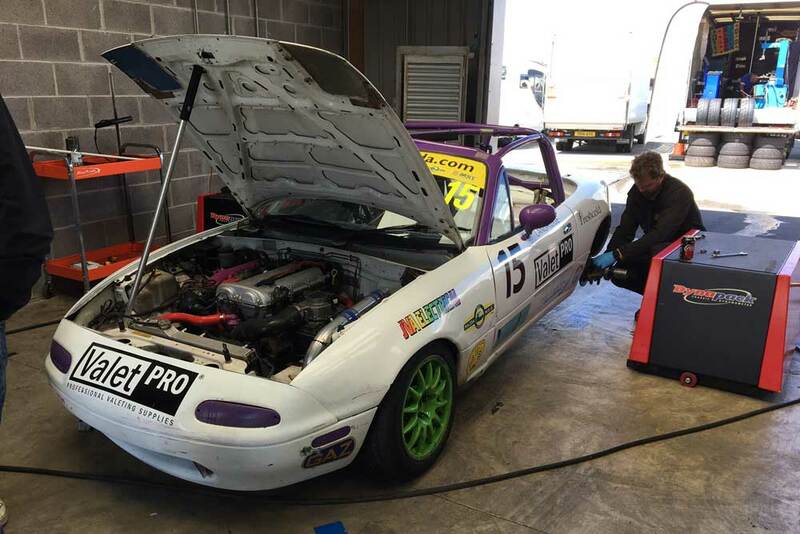 I ended up forth and with fastest lap – my first in a Mazda Championship A race! So generally a good weekend. Fastest in my qualifying session, a fastest lap and three top ten results in the A group. We’re edging closer to the front and the next aim is to bag a trophy. Croft is the next circuit; another new one for me. Let’s hope I take to it as well as I did to Anglesey.